Linda has a wealth of information to help you. She is Top Producing Realtor having won numerous Awards of Distinction, an industry leader with an established reputation with 36 years as a Realtor, Investor and Entrepreneur. 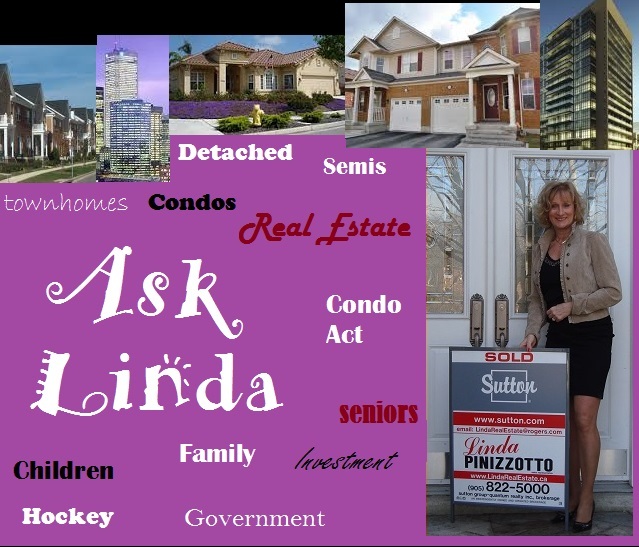 Linda is the Founder and President of the Condo Owners Association – COA and participates on various stakeholder groups. She has and still serves on numerous non profit Associations, believing on giving back to the community while dedicating time in organized real estate as a Past Vice-President and Director in the Real Estate Associations. On the amateur sports front, Linda is a Director with the Mississauga Sports Council and created P3 Sports Blue Chip showcase to help young aspiring athletes during their draft year. Linda enjoyed her time as the Past Chair of Celebrations of Youth Organization who hosts Youth Day Toronto today and has been a wonderful success for talented youth of today.